Online marketing is a constantly evolving challenge. One day we are told email marketing is the key to success and the next that email is dead. The way we think about reaching, capturing and engaging with our audience and our customers’ needs to reflect how they themselves engage online. For me, that’s all about community. Ironically as we become more and more enmeshed in our digital worlds, the desire for connection becomes even greater. So how do we bring those two worlds together. Here are 3 easy to implement ways to grow your online community. Facebook Groups are a fantastic way to build community around your core area of expertise and knowledge and like most things online, it’s about the quality of engagement, not the number of members. Of course, you want to grow your group, but do not be put off from setting one up by thinking that you need thousands of members for it to be successful, you don’t. What you do need is to provide value and a real sense of community. That will require you to dedicate time into the group each day, to initiate conversations, to engage in others conversations and of course to steer the group itself. So how do you start one? Pick a topic that you are passionate about and that is related to your core business. Start a group and make sure that you have some great graphics in place for your FB banner etc. You want to start your group looking as well put together and professional as possible. You don’t need to pay a designer to do this, you can do it very simply using apps like Canva. Have a series of webinars already set up that people can join. Create checklists and other useful documents that your members can use. Set up regular discussions: Monday Meet Ups, Friday Promos – it sets a theme and an expectation for what people can get from the group. Final part … start to invite people to join! Just remember to not add people to groups without their permission, this is really, really annoying and will likely prevent anyone from joining. Instead send a personal message, whether through FB itself or another medium … just make sure that the message is personal and not the same message sent to multiple people. It is crucial that you do this for the first 20,50, 100 people. They will be the ones that create the most engagement in your group and make new members who come to ‘look’ at the group want to stay. Love or hate video, it’s here to stay and the best way to get involved is FB Live. Pick a topic that you want to talk about or share with your community and press Live Video … that’s all you need to do to get started. FB Live will allow you to build relationships with your community far quicker and deeper – it’s the next best thing to meeting people in person. FB Live gives you an opportunity to showcase both your knowledge and your personality. This does not mean that you need to be an extrovert to make FB Live work for you, all you need to do is be yourself. 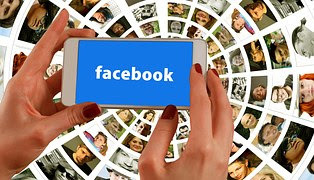 As FB Live is part of Facebook, they make sure that those videos are seen by far more of your community than other videos that you post, like You Tube, so it’s a great way to reach more people. Set up a schedule so that people know what time and days you will be broadcasting. Consistency is key. I have a regular FB Live, every Wednesday at 6am GMT on my Facebook Business Page – everyone now knows they will always find me there, every week at the same time and each week, our audience grows. Make sure you name your FB Live each week and include a link to your website / landing page – you do this in the text as you launch your FB Live. Whether you’re creating inspirational quotes, blogs, FB Live Broadcasts or Community Groups, you want people to share them. Sharing is caring and the best way to grow your community is through recommendation. Make sure your content isn’t just about you and promoting your business; you want to provide real, meaningful value that people want to share. Your content wants to showcase your genius, give tremendous value and leave people wanting more. Make sure that you have links to your website or relevant landing page in all your copy. If you’re going to do inspirational quotes, make sure they are relevant and original … your own where possible! Remember to ASK people to share your content! Sounds simple, but it’s easy to forget. IF you want people to share your FB Live broadcasts, you have to ask people and remind them how to do it. If you want to grow your Facebook Group, you want your members to recommend other people to join. Make that easy for them to do so; not just by asking them, but also by providing them with the links that they need to share. If you’re not already in my Facebook Group, The Freedom Collective, what are you waiting for? !